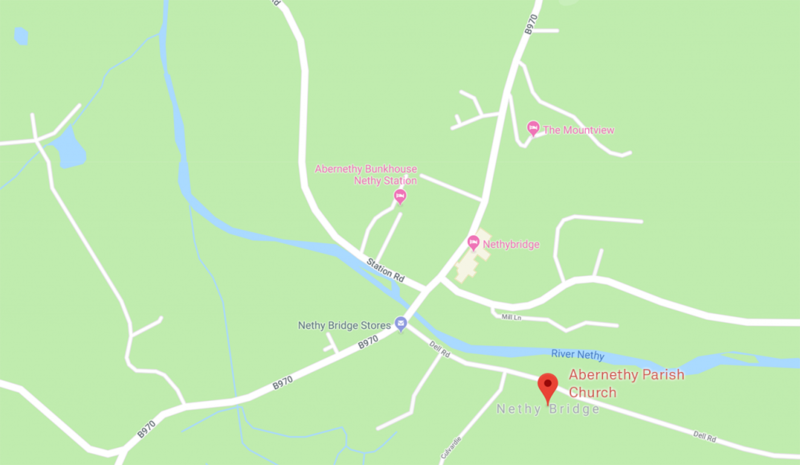 We are located up Dell Road in Nethy Bridge on the right at the top of the hill. About 330 meters (0.2 miles) up from the Nethy Bridge Village Shop & Post Office. There is free off-street car parking in front of and behind the church. There is also a wheelchair accessible parking space and ramped access into the church.